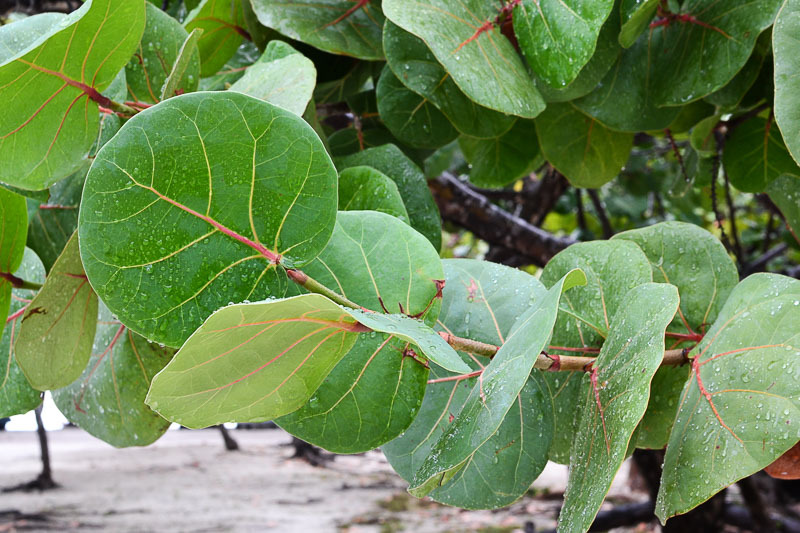 Sea Grape is a landscape shrub or small tree originating in Central America and the Caribbean and is commonly associated with coastal areas. 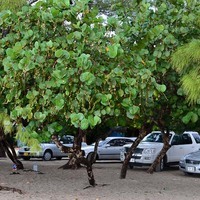 Growing near the seashore, it is typically 2 to 4 m (7 to 13 ft) tall, sometimes with multiple trunks that divide at the base in a v-shape, forming a wide-spreading crown. Inland and away from the coastline it tends to be taller, reaching heights of up to 15 m (50 ft) and is more tree-like, usually with a single trunk and a rounded crown. The leaves are large, round saucer-shaped, dull green and with a firm leathery texture. Most change colour in the dry season, becoming bright red before falling to the ground to be replaced by new leaves in the rainy season. The new leaves emerge with a bronze hue, gradually changing to green as they age. The flowers are small, white, fragrant and bloom mainly in spring but also intermittently throughout the rest of the year, with female and male flowers on different plants. The flowers on female plants are followed by small, round, green fruit held in tight clusters. Ripening to deep purple, they vaguely resemble a long bunches of grapes. 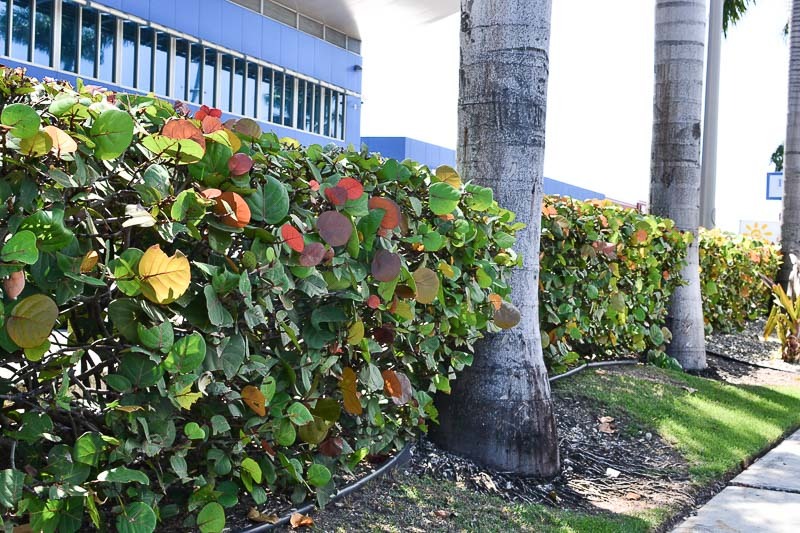 Shrubs growing on or near beaches provide much-needed shade to beachgoers seeking relief from the hot afternoon sun. 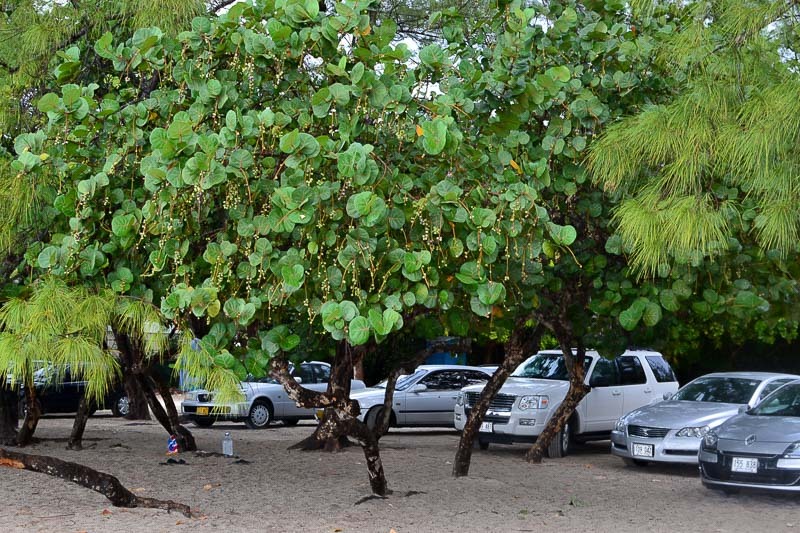 It is a good candidate for planting to minimise beach erosion, being one of the first woody plants to naturally colonise sandy beaches. 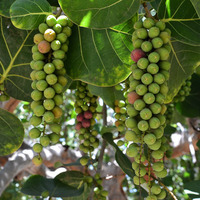 The fruit have a large seed and thin pulp that although astringent has a sweetish, grape-like flavour when fully ripe. 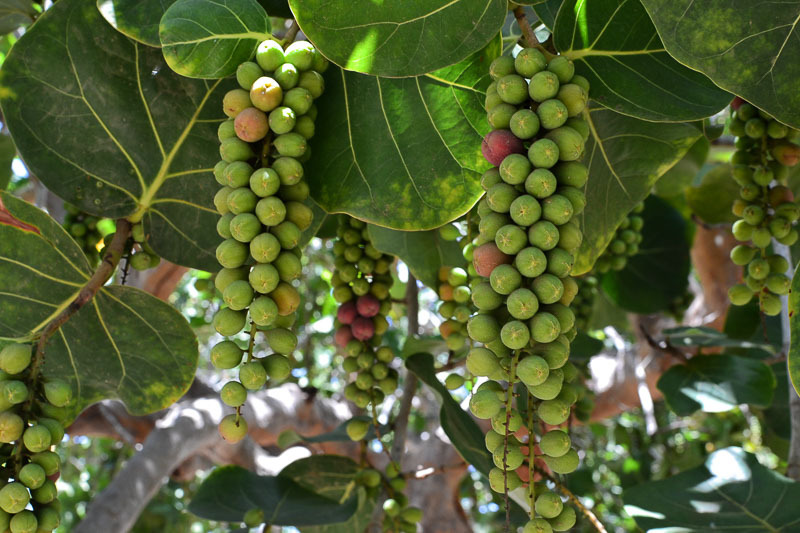 They are picked and eaten fresh, mainly by beachgoers, but are considered a minor fruit. However, they make an excellent jam or jelly to spread on bread and pastries. They also sustain wild bird-life in its native range, including indigenous pigeon species. The flowers produce good quantities of nectar for honey, which is pale in colour but cloudy and with a high moisture content. The wood is fine-grained, heavy and hard, but susceptible to termite infestation. The roundwood is used mostly for firewood and for making charcoal. The firewood is reported to be low-smoking and the charcoal has a history of use by blacksmiths in Mexico. A tanning agent extracted from the bark was once exported from the Americas to Europe. 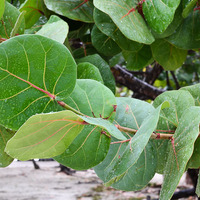 The large, round, leathery leaves are used as backing greenery by florists, particularly in large arrangements. Grows naturally in sub-humid to humid tropical climates, generally in areas with annual lows of 19 to 25 °C, annual highs of 27 to 35 °C, annual rainfall of 600 to 3300 mm and a dry season of 8 months or less. New plants can be started from seed, cuttings or using air layering (circumposing) techniques. Male plants do not bear fruit, so vegetative propagation is preferred to give control over the ratio of male to female plants. Plants grown from cuttings are reported to bear fruit earlier and grow faster than plants propagated from seed. It performs best on free-draining sand or loam soil of a neutral to alkaline nature, generally with a pH of 7.0 to 8.0. It has good tolerance to drought, salt, limestone, tidal flooding and windy conditions. Birds and other animals eat the fruit and carry the seed to new areas. 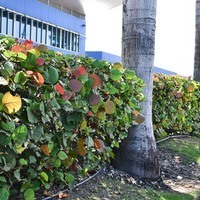 It is listed as a weed in more than one reference publication, but there does not appear to be any record of it anywhere as a serious or high weed risk species. It is assessed as a low weed risk species for Hawaii by the Hawaii Pacific Weed Risk Assessment project (HPWRA). The leaves create litter in the dry season, falling to the ground after changing colour.